The neglect, lack of maintenance and over relocation of factories that dump all sorts of wastes near the shores of Cavite made the water of some beaches toxic and have jelly fish infestation "dikya" which is a sign that the water is getting dirty. Despite this sad occurrence today, there were a few which made it to top visited places in the shorelines of Cavite and we have a list here at My Pilipinas below. Cavite beach resort's most popular paradise back when my father was at his teenage is Lido beach. It has gained the popularity by Metro Manila residents not just because it is the nearest and cleanest beach in Cavite but also because people enjoy swimming in the sea. Puerto Azul on the other hand is a pride of Ternate and is a cozy version of Lido. It has become popular to those who have the money to spend and the car to transport people looking to take a plunge in the summer sea because you will have to travel all the way from CavitEx in coastal road to Ternate. Our family was also able to come over to Caylabne Cavite beach resort but the water there is infested with "dikya" jelly fish based from our experience. It could be because of the nearby cement factory or could be because the water is already dirty and full of chemical waste material which could pose a danger to swimmers. Experiencing such made us think that the bay or beach water should be checked if it is still safe to swim there. I don't feel like it is anymore and our family will definitely come back there nor apply for a membership with the resort. I do not know so much about this Cavite beach resort in Noveleta but if the owner sees this short review, I hope our family can be able to come over and get invited there so we can post resort photos, amenities, rates and more plus our usual which is to shoot a short video of the resorts and travel places we visit all over the Philippines. Our family loves to travel and enjoy nature so much and we are looking forward that resort owners soon find our website and have their resort featured and reviewed here in exchange for a free invite and accommodation to their resort. This one is situated in the heart of Naic, Cavite, Philippines. The site boasts of numerous seaside huts and condominium-style rooms (which we still haven't seen) according to their website. Proud of their name, Boracay de Cavite looks and feels like Boracay beach but the sand is incomparable compared to the white sand beach resort in Aklan, the real Bora where celebrities flock and visit in summer. 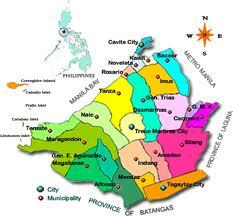 It is located in Calumpang, Sapang I, Ternate, Cavite. Rates and accommodation is one of the cheapest in all Cavite beach resorts. They also offer the option to go for their clean swimming pool for those who choose to stay within the vicinity while enjoying the sight of the sea shore. For any of the resort amenities, photos, accommodation, reservation, dining option and food and resort fees and rates, please consult Google or visit our links from the resort titles above in blue underlined links.